I subscribe to a newsletter from New Release Tuesday (a wonderful Christian resource website). It’s a great way to keep up-to-date with Christian music. They also give free weekly downloads. Which is how I came across J Han – a very interesting rapper. Who led me to AMP Movement – a Christian music collective, Which, in turn, led me to the topic of today – Sam Ock. Can I just say I love Sam Ock (@samuelock), whom I just heard of like ten minutes ago. 😃 Such uplifting music! I haven’t heard Christian quite like him. His sound is definitely unique. Plus, his songwriting is so on-point! It’s really refreshing to hear an artiste write to God like he does. For example, there are a couple lines in I’m Okay that goes, “Simple romantic love with the half better is sure swell but just an image of the real thing I’ll never let romance overtake my king” That’s such a beautifully worded sentiment which I totally get! His music has got elements of jazz, soul, hip-hop, big-bandy sounds, pop and rap. I hear a bit of Stevie Wonder (Every Moment), Michael Buble (Small), His rap makes me smile, it’s sort of like talking. 🙂 My favourite tracks are… On second thought, if I make a list, I’ll have to put down 80% of his songs. They’re all genuinely great. 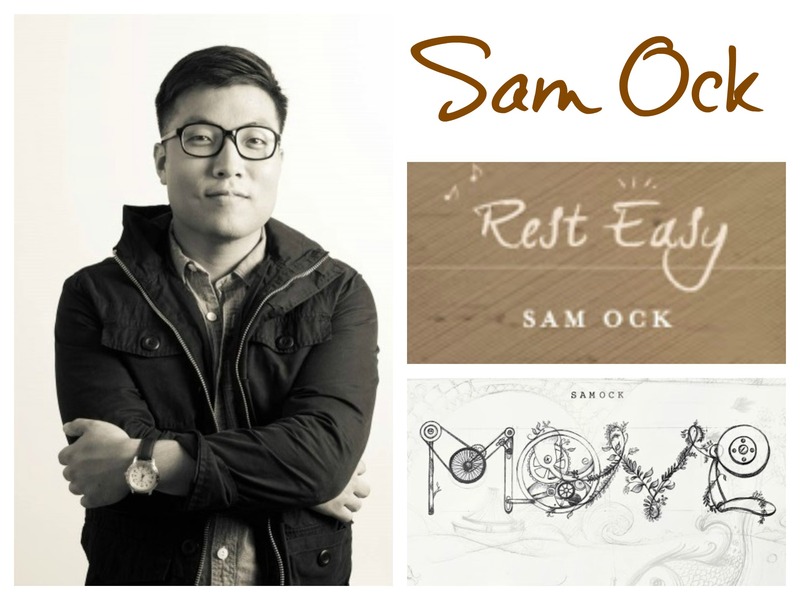 I’m so excited about this new (to me anyway) music and Sam Ock’s artistry! This entry was tagged album review, AMP Movement, Christian music, Christian music collective, Contemporary Christian Music, Google Play, gospel music, great Christian music, great music, J Han, Move EP, New Release Tuesday, Rest Easy, Sam Ock, Samuel Ock, See You in Heaven, YouTube. Bookmark the permalink.